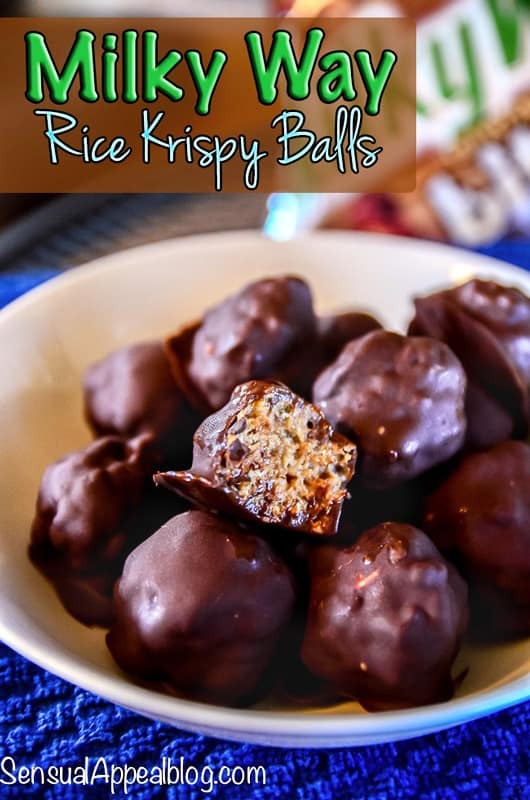 Disclaimer: These delicious and easy Milky Way Rice Krispies Balls (recipe) were created with a tailgating party in mind. This post is sponsored by Collective Bias®. Mmmmm… Game Day. Those lovely Sunday afternoons filled with football, beer, and food. Don’t you just love those Autumn tailgating parties where you get so excited over who’s winning who brought what food? Okay, Okay. I’ll admit. I haven’t actually been to very many tailgating parties because I’m not a gigantic football fan and neither are my girlfriends. I have gone to bars to watch the game once in a while just as a social thing. I do remember one time I went to a tailgating party thought last year and I loved the whole shindig. The fun atmosphere, the yummy food, the beer, the excitement. I just love the look of these Milky Ways chopped. Those layers make me drool. Time to cover these babies in fabulous. Throw your old rice krispie treats recipes away because there is a new favorite in town! You will be a believer as soon as you make it. Boom! What are your favorite candy bars? YUM!!! Your little balls look delish! I love milky ways, but my favorite candy is Snickers or Reese’s. I used to eat # Muskateer Bars alot goring up, but now i am partial to anything with peanuts or peanut butter. Reese’s are a LOVE for me. I like Snickers too a lot but they always felt too heavy for me like really intense. I grew up on Milky Ways but the ones we had in Poland which didn’t have any caramel in it at the time (until recently apparently). Wow these look amazingly delicious!! YUM!! Those look SOOO good! Thanks for sharing! Yummmm! Those look delicious. I’ll deal with some football for a Milky Way bite! These look fantastic! I ADORE tailgateing all because of the food haha. I haven’t been tailgateing in almost a year now, but honestly, I think I usually look more forward to tailgateing than the actual game (even though I do really like watching football!). I love sitting around and chatting and eating so. much. food. THE BEST. Haha. 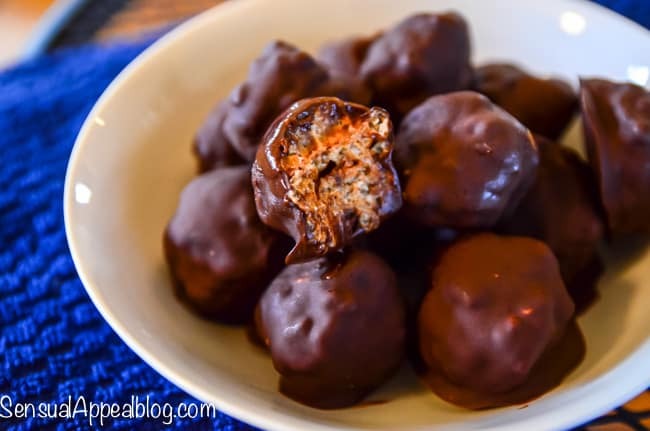 Wow these look absolutely decadent! I’m heading over now to vote for you! I feel like it’s so not 21st century cool for me to say this but I’ve never been a huge fan of rice krispie treats! I feel like that’s illegal or something. 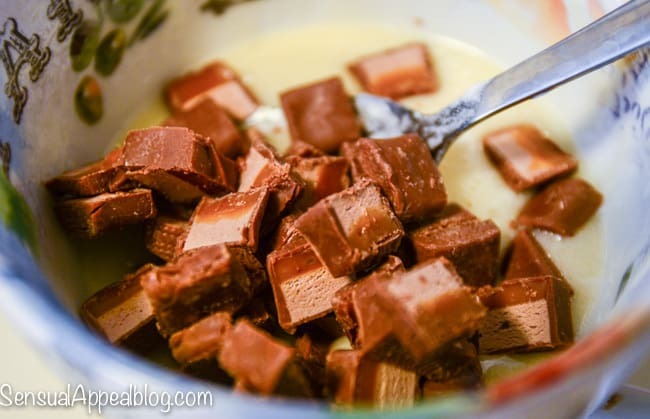 I’m sure this recipe will please many a foodie though (milky ways are a cool addition!). Have a great weekend. Fantastic recipe Kammie!! I’m totally pinning this to keep in mind for any future party snacks I may need to make. 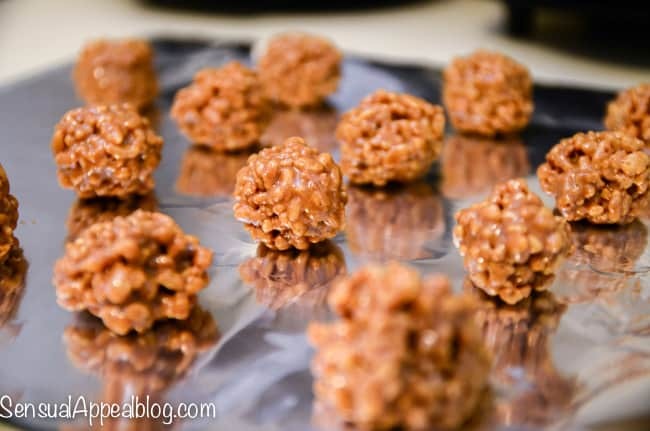 I love how you took the traditional rice krispie bar and shaped them into balls! Perfect to pop at any party. I too am not that big into football parties but I would definitely serve these at a holiday party. And who needs a party as an excuse? These would be great to make with my nephes. Milky way rules! I’ve never had a milky way..ever lol Your balls look decadent! 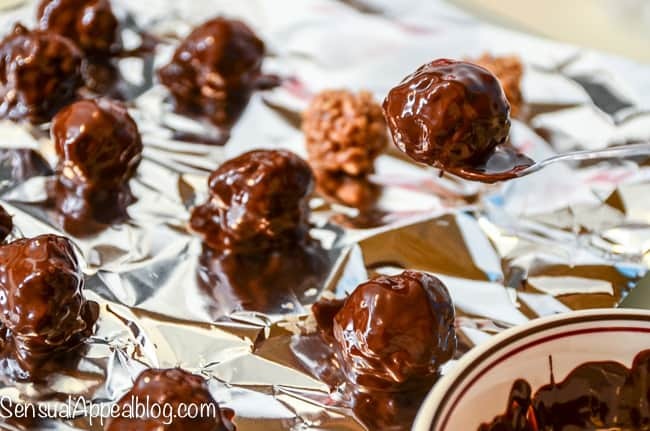 These little balls of crispy milky way goodness look so yummy! I have never been tailgating, but i will happily eat treats like this and pretend to like football! They look awesome! I love these rice krispie balls!! 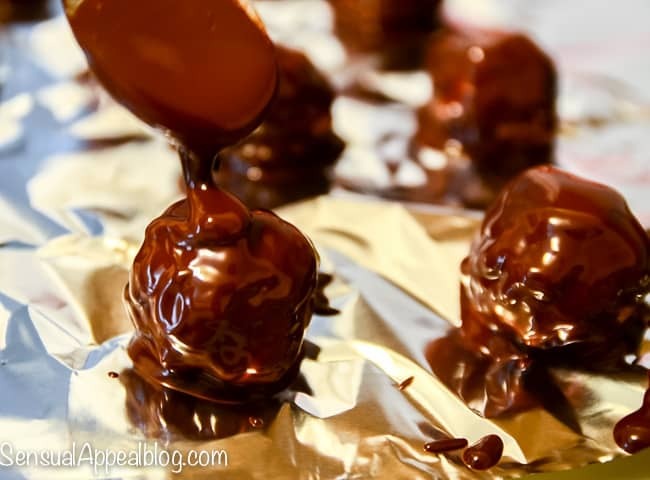 So easy to make and all that chocolate. Love love love!! Woah, those look AMAZING! Need to pin those! These look so good! 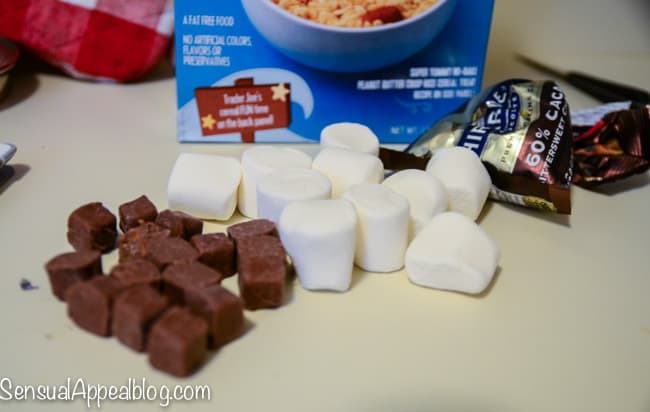 I love chocolate and krispies together… yummy! 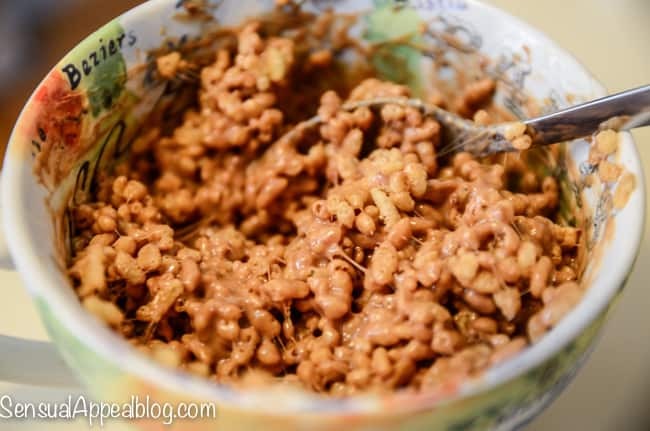 I love krispie anything, so throw in chocolate and you won my heart! YUM! Milky Ways are definitely one of my favorite candy bars. I love chocolate and caramel anything! And I’m all about some tailgating. Love these! This looks very simple to do. These would be great for a Super Bowl celebration. They would! Hope you make them 🙂 Thanks for visiting!